Popular Science has just announced their Top 10 inventions for 2016. 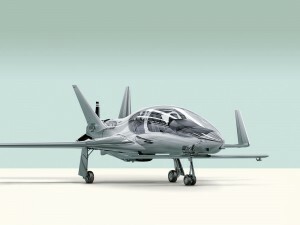 These highlight the best new ideas, technologies and cutting-edge designs and we want to share with you our favorites. Did we leave one off the list? Let us know! To make a 3D print you first need a drawing file, which can come from modeling software or a 3D scan of an existing object. Three enterprising young men – Rahul Koduri, Asfand Khan and Richard Boers – were working on a project for a parabolic solar mirror and they wanted to scan it for optimization, but the available optical scanners were prohibitively expensive. They cobbled together a working prototype from a cheap laser and a smartphone and voila! They had the germ of an idea that became the Eora. 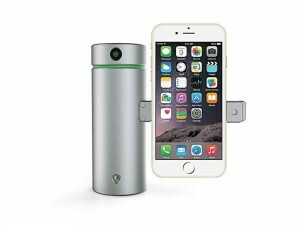 The Eora can make a detailed scan using the smartphone’s camera, bundling together thousands of individual photos. It also comes with a bluetooth enabled turntable to rotate your object for a full 360° scan. Another successful Kickstarter campaign, the Eora packages commonly available tech in a small, easy-to-use package while leveraging the computing power already available in everyone’s smartphone. Discrete, well-designed and very useful. That’s a winner. Most of us take the information age for granted – there’s so much out there and it’s so readily available at the click of a mouse. But what if you’re vision-impaired? There are expensive, complex devices which can render raised braille sentences one line at a time but they’re not much help for tablets or smartphones that are graphic-intensive. Researchers at the University of Michigan received funding from their innovative MCubed program, which provides seed money to interdisciplinary faculty teams to develop new tech that addresses social needs. In this case, they’re making a transparent membrane that overlays a grid of thousands of tiny, fluid controlled “keys”. They can be actuated individually through special software to not only create an entire page of braille at one time but also produce raised icons, pictures and even active, moving “gifs”. They foresee many future applications for all kinds of machine interfaces. A beautiful combination of haptics technology, software engineering and simple humanity. 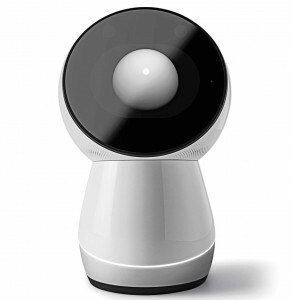 Not precisely a robot in the classical sense, with no arms or legs and a single giant eye (it’s actually a lot cuter than it sounds), Jibo manages to do a great many things that other robots can only envy. Jibo doesn’t talk to you but with you. It has a learning AI that adjusts to your personality and habits and responds accordingly. Jibo is connected to the web and to your social networks, instantly sending videos and pictures to your friends if you want it to. It can play music, look up information or order dinner. And it’s open source, so users will create a wealth of new applications and functions that the developers never dreamed of. But unlike Siri or some other digital assistants, Jibo has a physical presence that will make it a member of the extended household. Its “body” moves seamlessly on three axes and is able to mimic human-like gestures suggesting happiness, curiosity, alert attention and even affection. In terms of seamlessly integrating complex hardware and software in a beguiling package that presses all the right emotional buttons, Jibo is a masterful demonstration of near-perfect UX. Drones are all the rage, with each day bringing news of bigger, faster and lighter flying machines. But there’s also a world beneath the waves that’s even more fascinating and unexplored, and for that there’s Trident. 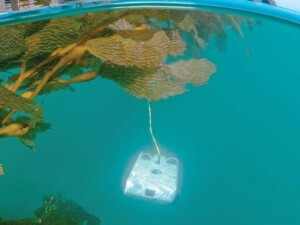 OpenROV (that means “remote observation vehicle”) created their first underwater drone a few years ago via a Kickstarter campaign, but the Trident is more advanced, smaller, lighter and more sleek. It can take photos and videos, either remotely controlled by you or by following any one of several scanning programs for mapping out underwater terrain. The Trident will come with a topside buoy to keep it on its tether and it’s also open source so developers will continue to add to its capabilities. We think it’s a good thing to get fascinated by the natural world and the Trident makes it easy and fun to learn about a world most of us know little about. David Loury is an aerospace engineer who had a passion to create a futuristic private aircraft design that would be light, fast, safe and impeccably crafted. The result is the absolutely gorgeous Valkyrie. Ten years in development, we think he and his team in San Francisco nailed it. Made from advanced lightweight composites and benefitting from 3D printing in the prototype stage, the Valkyrie is meant to shuttle five lucky people in Rolls-Royce luxury. Although it has a single piston, rear-facing propeller it is nevertheless fast and the canard wing makes it stall-proof while the single joystick makes it easy to fly. But ultimately its looks are the big winner here. Cobalt’s design aesthetic is both future-forward and classical. We can’t say it better than Loury himself: “…a convex profile in the front, a concave one in the back, and an inflection point where they join.” And it has the largest single-piece, transparent canopy ever put on a plane, offering an unprecedented view of the world zooming by. Of course we want one. All of these award-winning innovations share certain common traits. They meet an important need, are packaged stylishly in designs that are easy to use, and they can be upgraded for the future. We’d like to help you with your next award winner, so contact us today to get started.